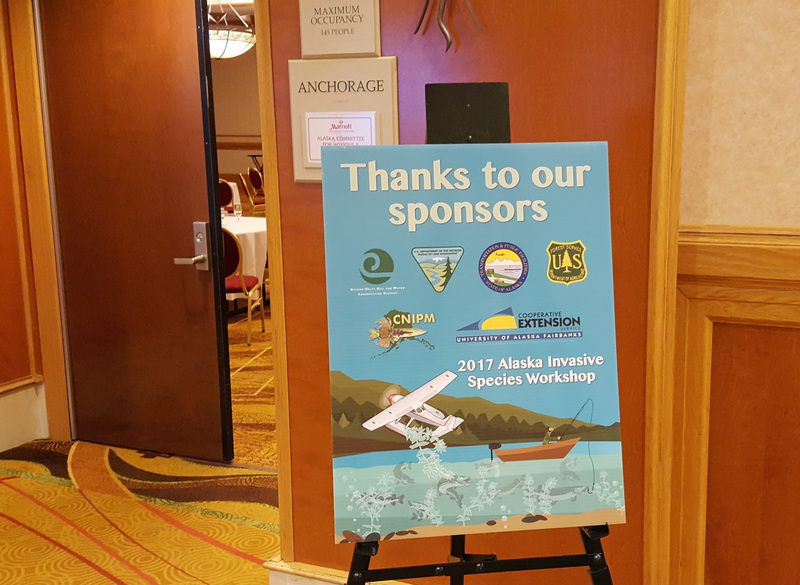 This October 24-26th I was in Anchorage, Alaska for the 18th annual Alaska Invasive Species Workshop. The workshop is organized by the Committee for Noxious and Invasive Pests Management and University of Alaska Fairbanks Cooperative Extension. It is a chance for people involved in invasive species management in Alaska – or just interested in the topic – to learn about the latest science, policies, and management efforts within the state and beyond. 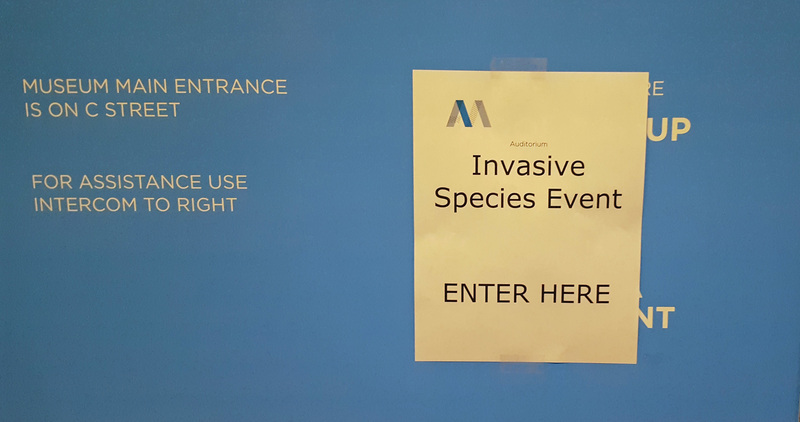 I am not an Alaska resident – nor had I ever been there until this trip – but my sister lives there, and I was planning a trip to visit her and her family, so why not stop in to see what’s happening with invasive species while I’m at it? What follows are a few highlights from each of the three days. The theme of the workshop was “The Legacy of Biological Invasions.” Ecosystems are shaped by biotic and abiotic events that occurred in the past, both recent and distant. This is their legacy. Events that take place in the present can alter ecosystem legacies. Invasive species, as one speaker said in the introduction, can “break the legacy locks of an ecosystem,” changing population dynamics of native species and altering ecosystem functions for the foreseeable future. Alaska is one of the few places on earth that is relatively pristine, with comparably little human disturbance and few introduced species. Since they are at an early stage in the invasion curve for most things, Alaska is in a unique position to eradicate or contain many invasive species and prevent future introductions. Coming together to address invasive species issues and protect ecosystem legacies will be part of the human legacy in Alaska. The keynote address was delivered by Jamie Reaser, Executive Director of the National Invasive Species Council and author of several books. She spoke about the Arctic and its vulnerability to invasive species due to increased human activity, climate change, and scant research. To address this and other issues in the Arctic, the Arctic Council put together the Arctic Biodiversity Assessment, and out of that came the Arctic Invasive Alien Species Strategy and Action Plan. Reaser shared some thoughts about how government agencies and conservation groups can come together to share information and how they can work with commercial industries to address the threat of invasive species. She stressed that Alaska can and should play a leadership role in these efforts. Most of the morning was spent discussing Elodea, Alaska’s first invasive, submerged, freshwater, aquatic plant. While it has likely been in the state for a while, it was only recognized as a problem within the last decade. 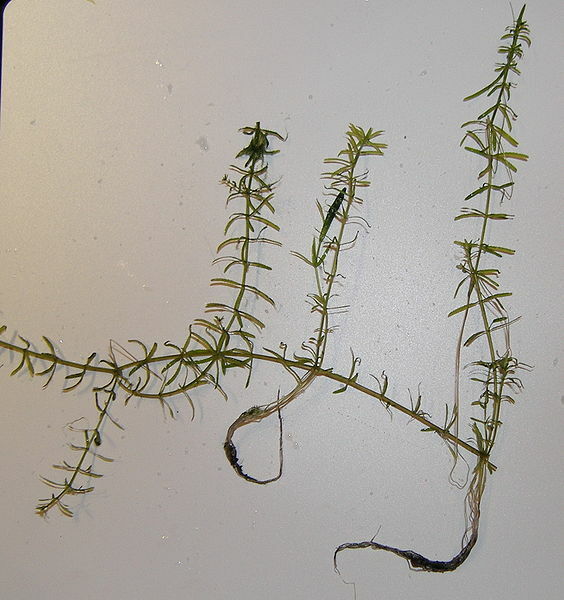 It is a popular aquarium plant that has been carelessly dumped into lakes and streams. 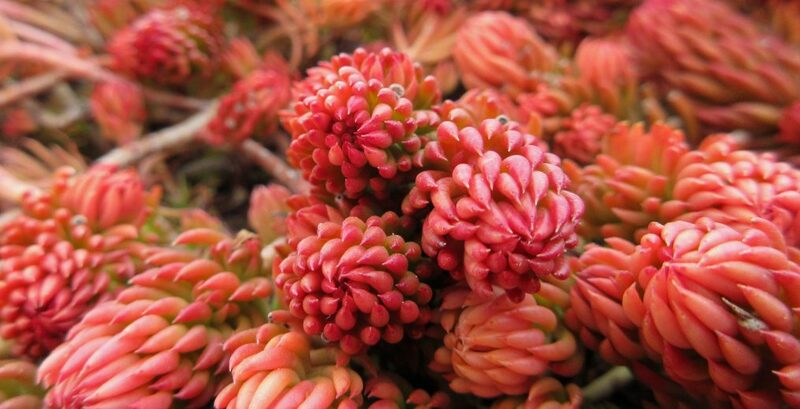 It grows quickly and tolerates very cold temperatures, photosynthesizing under ice and snow. It propagates vegetatively and is spread to new sites by attaching itself to boats and float planes. Its dense growth can crowd out native vegetation and threaten fish habitat, as well as make navigating by boat difficult and landing float planes dangerous. Detailed reports were given about how organizations across the state have been monitoring and managing Elodea populations, including updates on how treatments have worked so far and what is being planned for the future. A bioeconomic risk analysis conducted by Tobias Schwörer was a featured topic of discussion. After lunch I took a short break from the conference to walk around downtown Anchorage, so I missed a series of talks about environmental DNA. I returned in time to hear an interesting talk about bird vetch (Vicia cracca). Introduced to Alaska as a forage crop, bird vetch has become a problematic weed on farms, orchards, and gardens as well as in natural areas. It is a perennial vine that grows quickly, produces copious seeds, and spreads rhizomatously. Researchers at University of Alaska Fairbanks found that compared to five native legume species, bird vetch produced twice the amount of biomass in the presence of both native and non-native soil microbes, suggesting that bird vetch is superior when it comes to nitrogen fixation. Further investigation found that, using only native nitrogen-fixing bacteria, bird vetch produced significantly more root nodules than a native legume species, indicating that it is highly effective at forming relationships with native soil microbes. 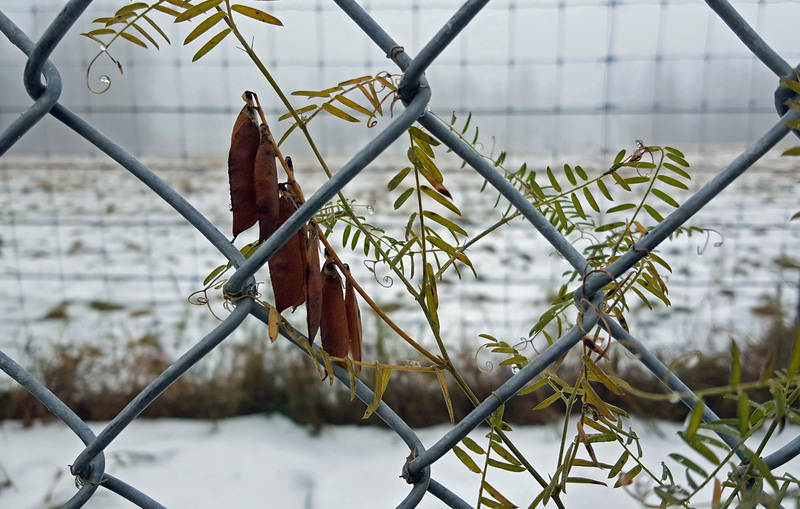 Additional studies found that the ability of bird vetch to climb up other plants, thereby gaining access to more sunlight and smothering host plants, contributed to its success as an invasive plant. The final day of the workshop was a veritable cornucopia of topics, including risk assessments for invasive species, profiles of new invasive species, updates on invasive species control projects, discussions about early detection and rapid response (EDRR), and talks about citizen science and community involvement. My head was swimming with impressions and questions. Clearly there are no easy answers when it comes to invasive species, and like other complex, global issues (made more challenging as more players are involved), the increasingly deep well of issues and concerns to resolve is not likely to ever run dry. Bering Sea Marine Invasives – With melting ice in the Northwest Passage allowing for more ships to pass through, along with increasing traffic in the Bering Sea resulting simply from the rise of human population, there is increasing concern about the species that will be introduced in the process. Kachemak Bay National Estuarine Research Reserve – Citizen science volunteer opportunities! Last week we discussed a plant that was introduced as an ornamental and has become a widespread weed. 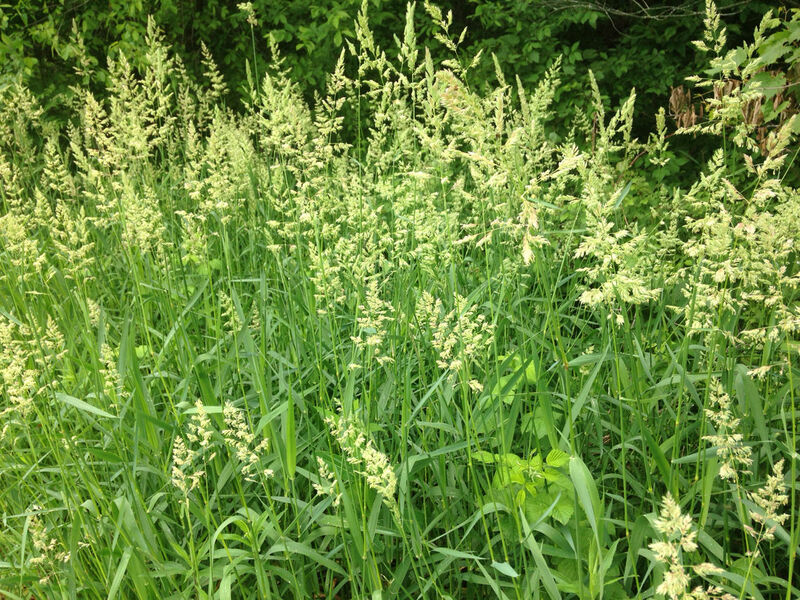 This week we discuss some native plants that have become weedy in places dominated by humans. 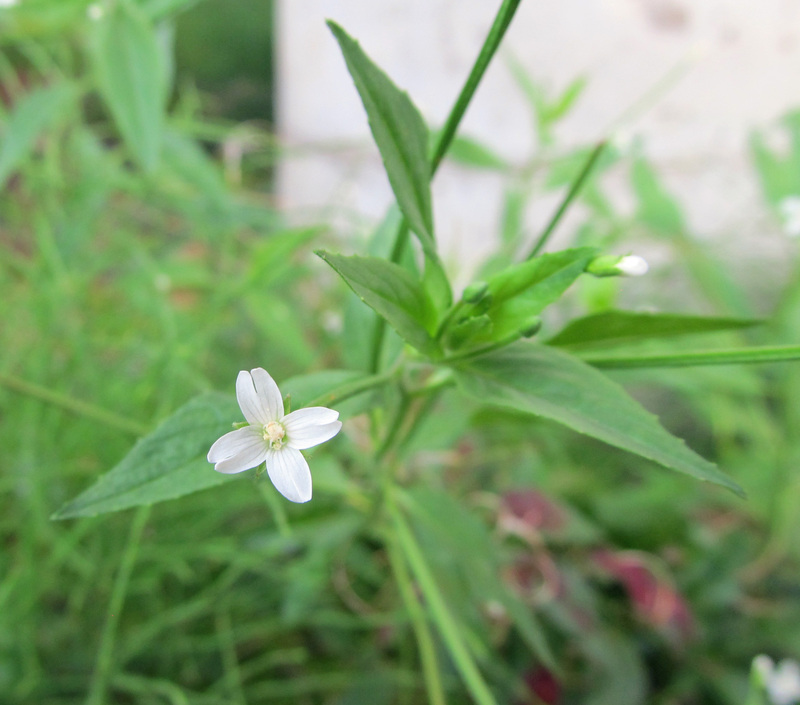 Similar to pineapple weed, species in the genus Epilobium have moved from natural areas into agricultural fields, garden beds, and other sites that experience regular human disturbance. Some species in this genus have been deliberately introduced for their ornamental value, but others have come in on their own. In all cases the story is similar, humans make room and opportunistic plants take advantage of the space. Epilobium species number in the dozens and are distributed across the globe. North America is rich with them. They are commonly known as willowherbs and are members of the evening primrose family (Onagraceae). They are herbaceous flowering plants with either annual or perennial life cycles and are commonly found in recently disturbed sites, making them early successional or pioneer species. Many are adapted to wet soils and are common in wetlands and along streambanks; others are adapted to dry, open sites. 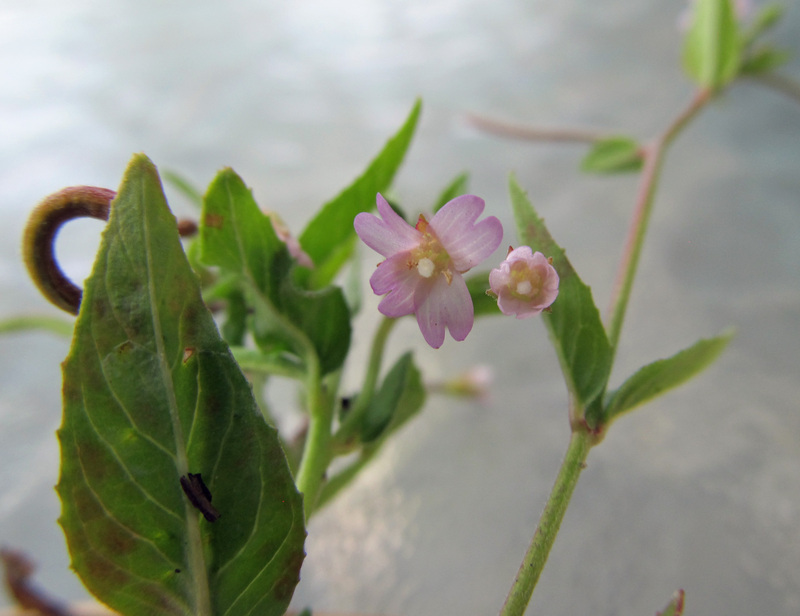 Hybridization occurs frequently among species in the Epilobium genus, and individual species can be highly variable, which may make identifying them difficult. At least two North American species are commonly weedy: E. ciliatum (northern willowherb) and E. brachycarpum (panicled willowherb). Regarding these two species, the IPM website of University of California states: “Willowherbs are native broadleaf plants but usually require a disturbance to establish. Although considered desirable members of natural habitats, they can be weedy in managed urban and agricultural sites.” The field guide, Weeds of the West, refers to E. brachycarpum as a “highly variable species found mostly on non-cultivated sites, and especially on dry soils and open areas.” E. ciliatum is notorious for being a troublesome weed in greenhouses and nurseries, as discussed on this Oregon State University page. E. ciliatum is a perennial that reproduces via both rhizomes and seeds. 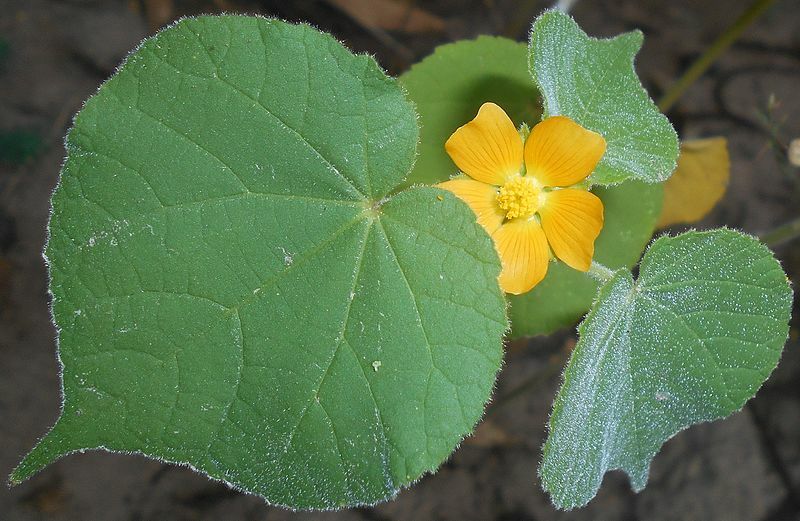 It reaches up to five feet tall and has oppositely arranged, lance-shaped leaves with toothed margins that are often directly attached to the stems. Its flowers are tiny – around a quarter of an inch wide – and white, pink, or purple with four petals that are notched at the tip. They sit atop a skinny stalk that is a few centimeters long, which later becomes the fruit. 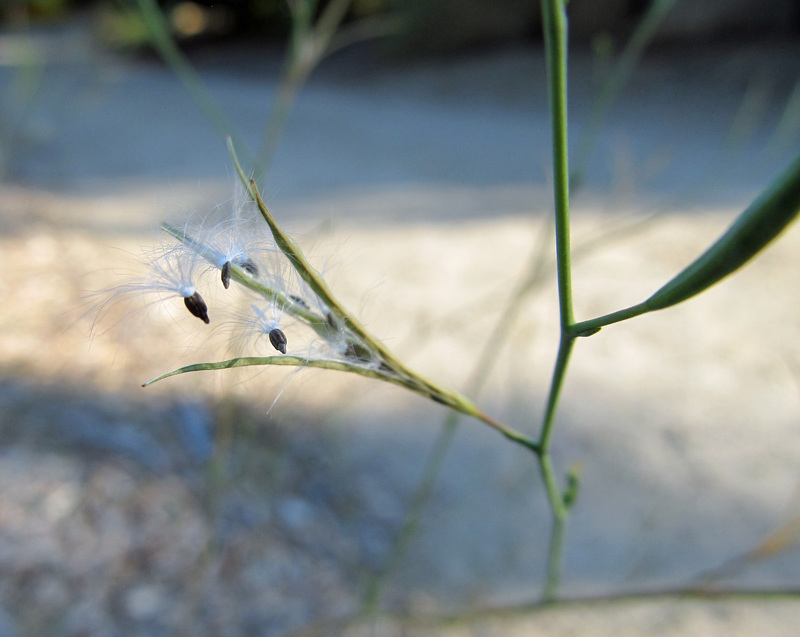 When dry, the fruit (or capsule) splits open at the top to reveal several tiny seeds with tufts of fine hairs. E. brachycarpum is an annual that reaches up to three feet tall and is highly branched. 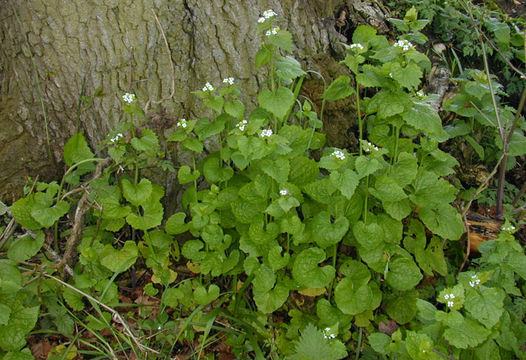 Its leaves are short and narrow and mostly alternately arranged. Its flowers and seed pods are similar to E. ciliatum. At first glance it can appear as one of many weeds in the mustard family; however, the tuft of hairs on its seeds distinguishes it as a willowherb. Weeds of North America by Richard Dickinson and France Royer describes one weedy species of willowherb that was introduced to North America from Europe – E. hirsutum. It is commonly referred to as great hairy willowherb, but some of its colloquial names are worth mentioning: fiddle grass, codlins and cream, apple-pie, cherry-pie, blood vine, and purple rocket. 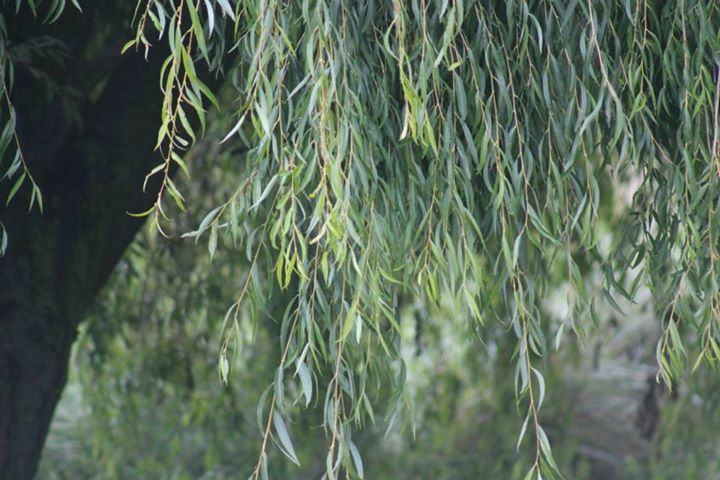 Introduced as an ornamental in the mid 1800’s, it is a semiaquatic perennial that can reach as tall as eight feet. It has small, rose-purple flowers and is frequently found growing in wetlands along with purple loosestrife (Lythrum salicaria). 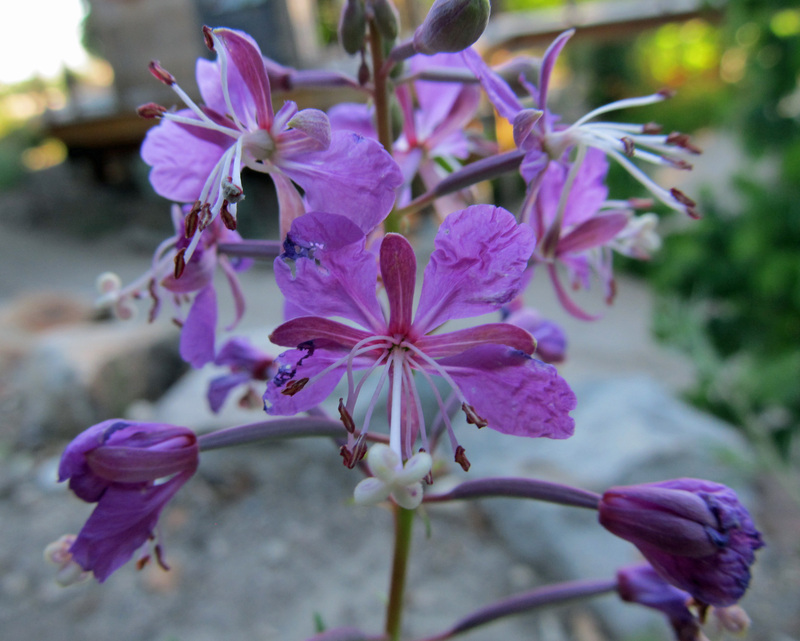 Chamerion angustifolium – which is synonymously known as Epilobium angustifolium and commonly called fireweed – is distributed throughout temperate regions of the Northern Hemisphere. It is a rhizomatously spreading perennial that grows to nine feet tall; has lance-shaped, stalkless leaves; and spikes of eye-catching, rose to purple flowers. It is a true pioneer species, found in disturbed sites like clear-cuts, abandoned agricultural fields, avalanche scars, and along roadsides. It gets its common name for its reputation of being one of the first plants to appear after a fire, as John Eastman describes in The Book of Field and Roadside: “A spring fire may result in a profusion of growth as soon as 3 months afterward, testifying to fireweed’s ample seed bank in many wilderness areas.” Eastman goes on to write, “fireweed’s flush of abundance following fire may rapidly diminish after only a year or two of postburn plant growth.” This “flush of abundance” is what gives it its weedy reputation in gardens. With that in mind, it is otherwise a welcome guest thanks to its beauty and its benefit to pollinators. Sometimes [weeding] feels like playing God – deciding who lives and who dies is no small matter – and sometimes it feels like war. … Take a moment to ponder the relationship of these plants to other living things around, now and in the future. Your weeds provide forage and habitat for insects, birds, and animals, as well as shelter for the seedlings of other plants. They cover the bare soil and bring moisture and soil life closer to the surface, where they can do their good work. Weeds should be respected for their tenacity, persistence, and versatility and looked upon more as volunteers than as invaders. I live in the city of Boise – a bustling metropolis by Idaho’s standards. It is located in the high desert of the Intermountain Northwest in a region called the sagebrush steppe. Our summers are hot and dry, and our native flora reflects this. When I leave my apartment I am greeted by a flowering quince (Chaenomeles sp.). At this time of year it is in full bloom and looking amazing. It originated in East Asia. To my left I see a tree of heaven (Ailanthus altissima), a common urban tree that came to America from China via Europe. To my right there is a row of Norway maples (Acer platanoides), another popular urban tree. As its common name suggests, it is a European species that is distributed across large portions of eastern and central Europe. None of these plants are native to the sagebrush steppe, nor would they survive the harsh conditions without supplemental irrigation. All are horticultural introductions. But there is another thing that at least two of these species have in common. 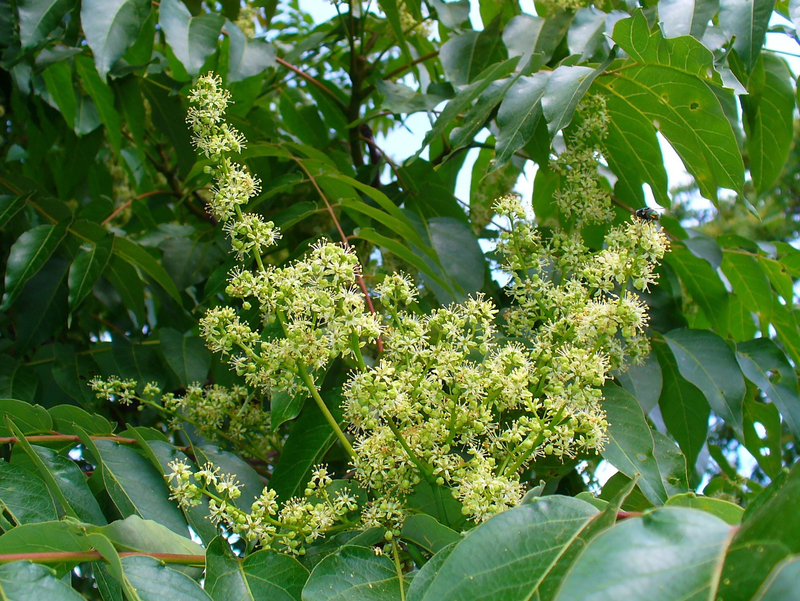 Tree of heaven and Norway maple are considered invasive species in North America due to their propensity to spread into natural areas and disrupt native ecosystems. They also have a reputation of being pesky urban weeds. My experience isn’t unique. Yards across North America are planted largely with species that are not native to this continent, and while most species stay where we plant them, a significant portion of them have leaped out of our tidy landscapes and disseminated themselves across natural areas, earning them the title invasive species. 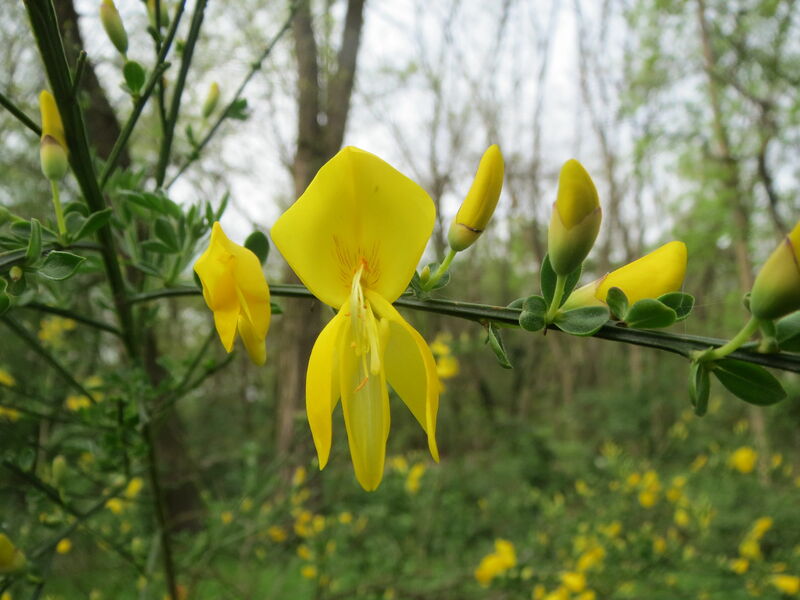 In a paper published in BioScience (2001), Sarah Hayden Reichard and Peter White discuss the role that horticulture has played in introducing invasive species to the United States. Humans have a long history of moving plants from one part of the world to another for food, fuel, and fiber. However, collecting plants from around the world and organizing them into gardens for aesthetic purposes is, by comparison, a more recent thing. Species used for ornamental horticulture are what Reichard and White are concerned about. As colonists became more secure in their new environments, they began to import ornamental species from their homelands and elsewhere, in simultaneous quests for both familiar and unfamiliar plants. These plant importations sprang from deep-seated or primal aspects of human behavior shared by people in former colonies and homelands alike. … Many needed to be reassured with familiar plants from home, and they also had seemingly antithetical desires to experience novel, exotic ornamental plants. Today, plant explorations continue throughout the world, often with the goal of introducing new plant species to the horticulture trade, and avid gardeners remain eager to find something new and interesting to add to their yards. There is nothing inherently wrong with this. Nor is there anything inherently wrong with filling our yards with exotic plants. The trouble comes when these plants escape cultivation and cause problems in neighboring ecosystems. Bringing awareness to this darker side of ornamental horticulture is what Reichard and White endeavor to do. Major players involved in the global movement of horticultural specimens include botanical gardens and arboreta, nurseries, garden clubs and horticultural societies, and the seed trade industry. The motives for transporting species vary among the groups, as do their roles in addressing the invasive species issue. Many botanical gardens have extensive plant exploration programs, which today are often more conservation focused than they were in the past; however, some of the species acquired during these explorations are released to the public, often without certainty that they won’t spread. Even though most nurseries don’t have active plant exploration programs, they may acquire plants from nurseries or other institutions that do. For business reasons, plants may be sold before they have been properly screened for invasive-ness. Some retail nurseries make an effort to not sell plants that are known invasives in their regions. However, there are plenty of mail order nurseries that may not be aware of or may simply ignore the fact that they are shipping plants to regions where they are invasive. Seed exchanges between garden clubs and botanical societies, as well as the seed trade industry, are also responsible for shipping species to areas where they are currently or may become invasive. Plant exploration will continue, and many new plants will be introduced to the public through the horticulture trade. Rules and regulations help restrict some plant movement, but in a capitalist society such restrictions will ultimately be, as Reichard and White write, “a compromise between ideal invasive plant exclusion and trade facilitation.” Plants can be screened for invasivibility, but it is difficult to know if, when, and where a species may become invasive. Furthermore, given enough time, a species that appeared to stay put can suddenly start to spread (or could have been spreading all along unnoticed). Reichard and White acknowledge that “the burden of finding a solution to the problems posed by invasive plants does not necessarily fall on the shoulders of [the horticulture] industry.” Various groups from broad disciplines will have to come to together to work towards a solution. Reichard and White offer some suggestions for working together. For example, invasive species biologists can share their research with the horticulture industry which can, in turn, communicate this information to the public through garden writers and speakers. Botanical gardens can take a leadership role by vowing to “first do no harm to plant diversity and natural areas” and by providing public education about the issue. Efforts can be made to ban the sale of problematic plants and to encourage proper screening of new introductions, but public demand for certain plants may remain. So, “better communication from ecologists to the public about which species are causing problems will discourage people from buying them.” Involving the public in eradication efforts can also help raise awareness, as people can see first hand that plants in their yards have invaded the wild. In a review published in New Phytologist (2007), Kathleen Theoharides and Jeffrey Dukes examine four stages of invasion as they relate to alien (i.e. introduced or non-indigenous) plant species. In part one we discussed transport and colonization, in which species must survive being transported long distances and then take root and reach maturity in an unfamiliar location. Alien plant species don’t become invasive until they have reached the last two stages: establishment and landscape spread. Removal of the species upon reaching these stages is no easy task. Luckily, introduced species have a few barriers to overcome before this point. Plants compete for light, moisture, and soil nutrients, as well as for pollinators and seed dispersers. Competition inhibits the establishment of invaders when neighboring plants consume available resources more efficiently. Introduced plants risk being outcompeted by plants that are of the same functional type (plants that are “morphologically, phenologically, and physiologically similar”). They also risk competition by a single dominant species (or group of similar species) or by “an assemblage of species with different traits.” As a general rule, plant communities with greater diversity are more resistant to invasion. Two hypotheses postulate the success of some plant invaders in establishing themselves: the enemy release hypothesis and the evolution of increased competitive ability hypothesis. In the first hypothesis, plant species – having been removed from their native habitat – are freed from their natural enemies and are thus able to allocate more resources to growth and reproduction. The second hypothesis states that, in light of “reduced enemy pressure,” introduced species quickly evolve to allocate resources “from enemy defense to faster growth.” Escape from herbivory and diseases, however, is likely not the only factor in the success of invaders, and much still depends on the competitiveness of the plant and the availability of key resources. After introduced plants become established, a lag phase generally occurs before landscape spread. This can be a result of a lack of genetic variation, a dearth of suitable habitat, unfavorable environmental conditions, or some combination of the three. New introductions may occur, and the population may continue to adapt and expand. Suitable habitat may be made available, and environmental conditions may shift. In time, landscape spread becomes a possibility. Landscape spread occurs when multiple populations of a species are connected via long-distance dispersal. At this “metacommunity scale,” populations of an introduced plant species interact across a large area, with each population in a different stage of colonization and establishment. This means that transport, colonization, and establishment are all at play during the landscape spread stage. Fragmented landscapes consisting of small patches of natural areas dispersed among large areas of human development are particularly prone to invasion by introduced plant species for many reasons, including increased influx of propagules and a high degree of edge effects (habitat edges have environmental conditions that are generally more prone to invasion than habitat interiors). Habitat patches can be connected via corridors. It is through these corridors that dispersal can occur between populations in a metacommunity. Corridors connect populations of both introduced and native plant species. However, “native plants often require wide undisturbed corridors of intact habitat, while [introduced plant species] may disperse best through strips of human-disturbed habitat or ‘disturbance corridors. '” The environmental conditions in disturbance corridors and the presence of dispersal agents (including humans and domesticated animals) help facilitate the connectivity of populations of introduced plant species and promote the colonization and establishment of new populations. In their abstract, Theoharides and Dukes write, “both research and management programs may benefit from employing multiscale and stage approaches to studying and controlling invasion.” With their conclusion they provide a list of potential management strategies for each stage, and they advise employing “natural filters in order to prevent invasion succees.” Examples include reducing habitat fragmentation and edge effects, promoting intact native communities, reducing human disturbances, promoting natural disturbance regimes, and minimizing disturbance corridors. As humans move around the globe, they are regularly accompanied by plants. Some plant species are intentional guests, while others are interlopers. This steady movement of plants from one region to another results in plants being introduced to areas where they are not native. In this regard, they are aliens. Some of these alien species will take up permanent residence and, as a result, can disrupt ecosystems, compete with native plant species, and cause economic damage. This earns them the title “invasive”. But not all introduced plant species achieve this. In fact, many will find themselves in a new region but will be unable to colonize. Others will colonize but not become fully established. Still others become established but will not spread. In all cases there are factors at play that either aid or limit an introduced plant species in becoming invasive. In part one, we will look at the first two stages of invasion: transport and colonization. Species have always moved around from region to region by various means. However, as Theoharides and Dukes write, “current species movements are happening faster than before and from more distant regions, primarily as a result of global commerce and travel.” When it comes to human-mediated dispersal, many plants may never be transported by humans, while others simply won’t survive the journey. Species that are widespread may have a better chance of being transported because they are more likely to make contact with humans. Transporting high numbers of propagules (i.e. seeds, spores, cuttings) generally increases the likelihood that a species will survive the journey. Surviving transportation is not a guarantee that alien plants will successfully colonize a new area. Myriad environmental conditions and biological processes stand in their way. Much depends on propagule pressure – “the combined measure of the number of individuals reaching a new area in any one release event and the number of discrete release events.” Where propagule pressure is high, colonization is more likely. Repeated introductions across a large area offer the species a greater chance of finding itself in a suitable location as well as a greater level of genetic variation. Disturbed environments with less competitors and increased resources (i.e. light, moisture, soil nutrients) are often easier to colonize than locations with a high level of biodiversity and fewer available resources. If and when colonization is achieved, establishment is no guarantee. “In order for a plant to establish itself it must continue to increase from low density over the long term.” Small numbers of plants may successfully reproduce, but environmental factors, genetic issues, and biological competition may still stand in their way. Species that invade disturbed sites where resource availability is temporarily high, may soon find themselves in a resource-limited situation. As a result, their populations may dwindle. With transport and colonization accomplished, establishment is the next goal. Establishment and landscape spread will be covered in part two. If you live in North America or Europe, chances are you have seen Dipsacus fullonum, commonly called teasel. Its tall (up to 2 meters), spiky flower stalks with large purple flowers are easy to spot in low-lands, ditches, or along highways. Since this prolific seeder’s introduction to North America from Europe, it has steadily increased its habitat to occupy nearly each region of the United States. Of course, like all plants, teasel has its preferences and is more frequent in some areas than in others. 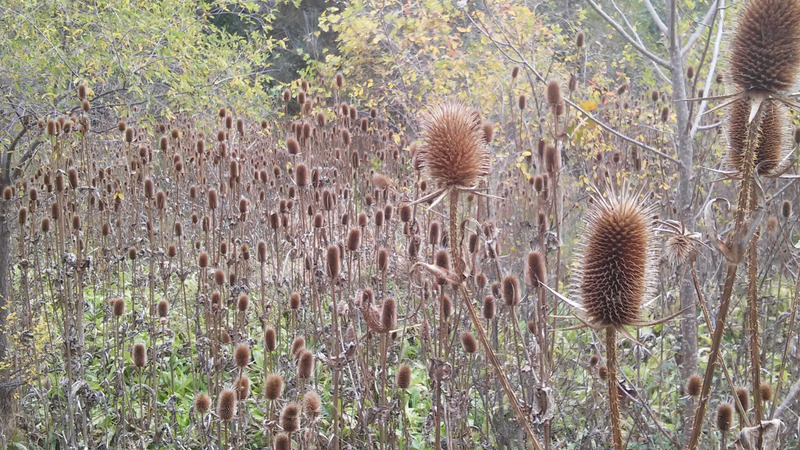 Teasel is an unassuming, herbaceous biennial. It takes two years to complete its life cycle: First-year growth is spent as a basal rosette, and second-year growth is devoted to flowering. Standard biennial, right? As of 2011, an experiment was conducted on this plant that changed the way we see teasel, and possibly all other similar plants. “Here we report on evidence for reproductive benefits from carnivory in a plant showing none of the ecological or life history traits of standard carnivorous species.” -Excerpt from the report titled Carnivory in the Teasel Dipsacus fullonum — The Effect of Experimental Feeding on Growth and Seed Set by Peter J.A. Shaw and Kyle Shackleton. We all have favorite carnivorous plants, Venus flytraps, pitcher plants, sundews, etc.. Their showy traps and various means of attracting insects are all marvels of evolution in the plant kingdom. These insectivorous plants evolved these means of nutrient acquisition in an answer to the lack of nutrients in their environment’s soil. In some of these plants, there is a direct relationship between number of insects consumed and the size of the entire plant. In others, there is no such relationship. The unassuming, biennial teasel can now join the ranks of carnivore, or protocarnivore. It didn’t evolve in bogs or swamps where soil nutrients are depleted. It has no relationship to the standard carnivorous species. It doesn’t have any flashy traps. In fact, it has no obvious traits which suggest it can gain nutrients from insects. Teasel’s carnivorous habits can be likened somewhat to the carnivorous habits of bromeliads; water gathered in their leaves traps insects. Teasel has some physiology to absorb nutrients from other macroorganisms despite teasel evolving in an entirely different setting than typical carnivorous plants. Teasel’s already proficient reproductive capacity is enhanced by using insects as a form of nutrients in a controlled setting. Many exciting questions have been raised by this experiment. How has this absorption mechanism come about, without the obvious use of lures or other structures to attract insects? And how does teasel maximize upon its own morphology in the wild, if at all? What would the results be if these experiments were recreated on other similar species? There are studies being conducted all the time that further the boundaries of what we know about these stationary organisms. There are new discoveries waiting just around the corner. Carnivory in plants is amazing because it transcends common notions about plants; especially in the case of the unassuming teasel. Would you like to write a guest post? Or contribute to Awkward Botany in some other way? Find out how.